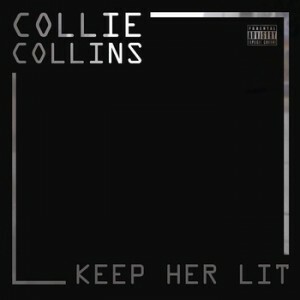 Celtic rapper Alan “Collie” Collins has been on the go for more than half a decade now, and has teamed up with experimental producer Monto for his latest EP, Keep Her Lit. If you’ve heard Collie Collins before, you’ll be familiar with his Dublin hip-hop, and witty lyrics. Currently at work on album The Aul’ Sod, this is a decent trailer for the forthcoming feature. Collie’s best asset has been his lyrical barbs and clever rhymes, but on opener ‘Leap’ these are overshadowed by Monto’s disjointed beats and backing track. The music is so overpowering that it forces the listener to strain to hear Collie’s words. However, things improve on the Ray Burke namechecking ‘How Does?! ?’, whose chorus is helped by the synth melody. It’s an insightful tune about being a rapper in modrin Ireland, and all that entails. The title track, ‘Keep Her Lit’ is a repetitive song that sounds like a trip to the arcade for the most part, but surprisingly works pretty well. Closer ‘Cavity’ is the high-point of the short record, with its woozy melody intertwining with Collie’s smart turn of phrase and pop culture references. I especially like the line “I’m living in a computer game with Scott Pilgrim”. A solid free hip-hop EP from the Dublin rapper, and despite a few missteps a nice addition to the Irish rap canon. The forthcoming album itself should be very interesting.